Cruising is an increasingly popular way to travel, but if you travel with your dog, there’s virtually no options available. 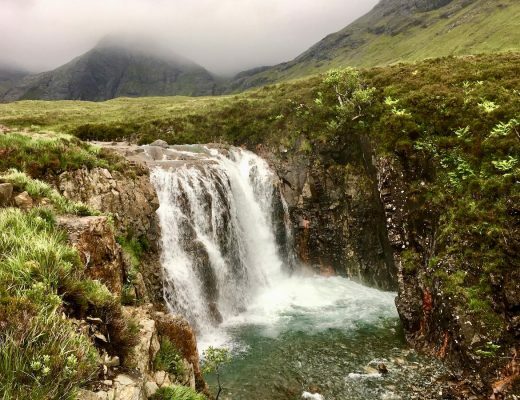 Yes, you can take a trans-Atlantic crossing on the Queen Mary 2, but it’s far from affordable and often kennels can book out a year in advance. Most regular cruises, whether in the Mediterranean or Caribbean, don’t allow dogs on board. I’ve heard it’s due to hygiene reasons, but I believe it’s just a matter of time until some offer the option. Tallink Silja Line operate overnight cruises between Stockholm and the three cities of Helsinki, Tallinn and Riga. You can take an overnight trip in either direction (e.g. Stockholm-Helsinki-Stockholm or Riga-Stockholm-Riga). The ships sail daily, year-round. 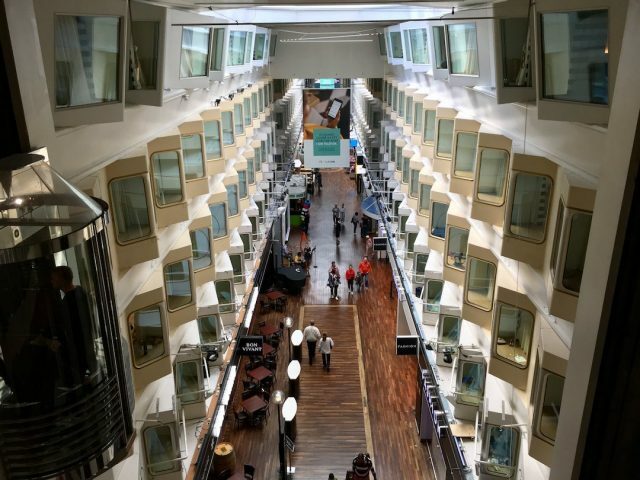 Each of the overnight voyages departs late afternoon (our cruise from Stockholm to Helsinki departed at 4:55pm), then arrives in port the next morning after breakfast (we arrived in Helsinki at 9:55am). Allowing time for disembarking and re-boarding, you’ll have up to 6 hours on-shore at your chosen destination. To book your mini-cruise on the Tallink Silja Line website, click on the Roundtrip Cruise option and the relevant pair of cities. 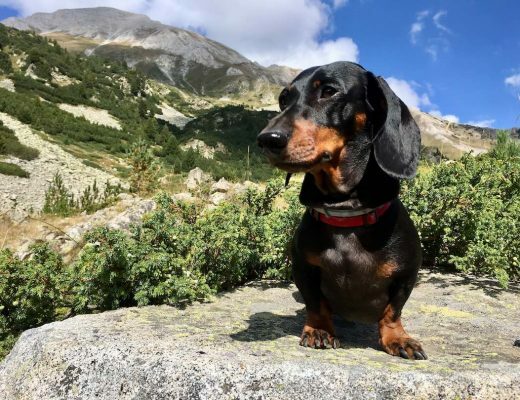 To find the dog-friendly cabins, scroll almost to the bottom of the page to the “Traveling with Pets” section, and choose your preferred cabin option. (I explain more about the cabins below.) The price is per cabin (not passenger). Make sure you also click to add your pet to your booking. There’s a standard fee of €32 per pet, per roundtrip journey (or €16 each way), no matter what the class of cabin. 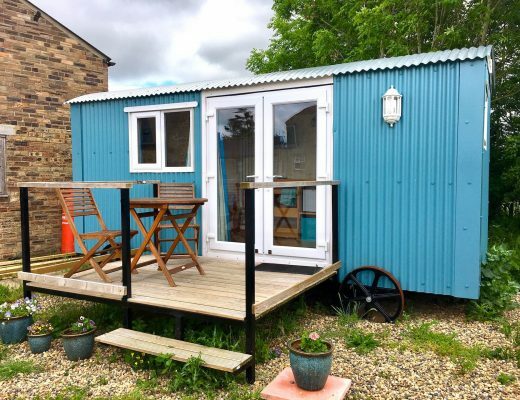 There’s a maximum of 3 pets per cabin, with no size restrictions, although “dangerous” dogs are not permitted. It’s also possible to make up your own cruise itinerary, rather than just spending a single day in a single destination port. For example, you could spend a night in your destination, then return the following day. 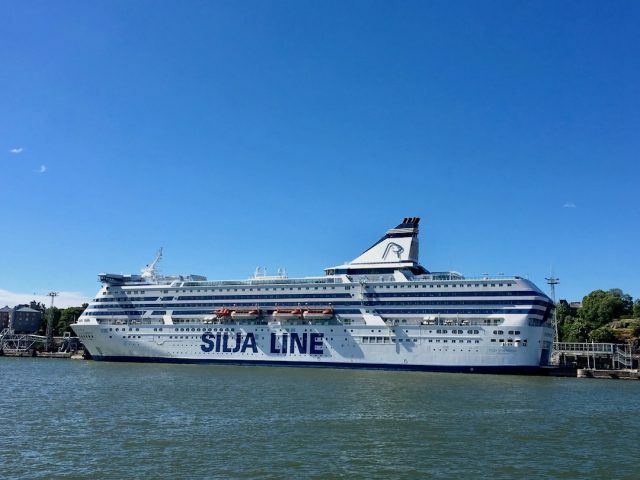 Tallink Silja Line also offers a ferry service between Helsinki and Tallinn, so you could create your own cruise visiting Stockholm, Helsinki and Tallinn. However, the prices for one-way trips are often more expensive than roundtrip prices, to my surprise. Also, there’s the issue of what to do with your luggage. (With a roundtrip cruise, you leave it in your cabin during the day.) But it’s possible! I recommend booking at least a few weeks in advance, ideally a few months. 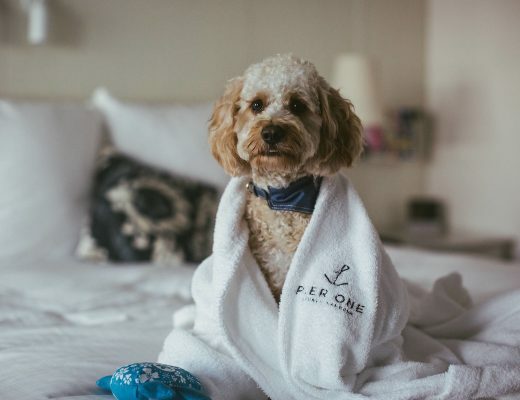 There are a limited number of pet-friendly cabins on each ship (about 10 on our ship, out of hundreds of cabins), so they often tend to book out quicker. Booking early will also usually save you money, like when booking a flight in advance. When it comes to pet-friendly cabins on the Tallink Silja Line ships, there are three classes available on most ships: A-class, B-class and C-class. In total, there are about 10 pet-friendly cabins. The A-class cabins were located in the same area, but had windows. 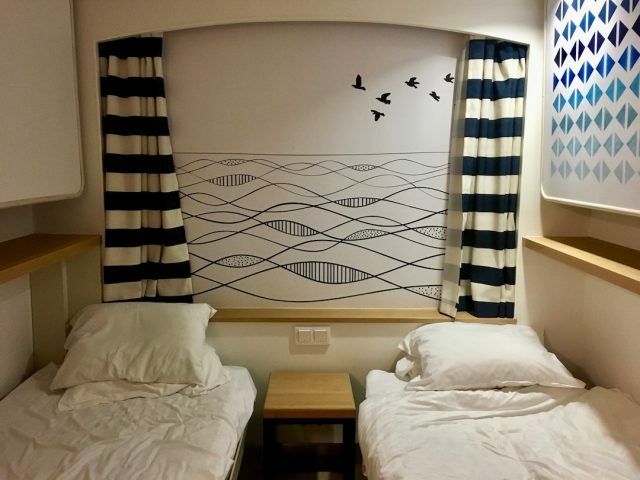 While the C-class cabins were on a lower deck and sometimes just have a single pair of bunk beds (for 2 people). All cabins have an ensuite toilet and shower, although it’s nothing fancy. The rest of the cabin though was nicely decorated, including a table and stool, multiple power points and plenty of lighting options. My recommendation would be to choose an A-class cabin if possible. 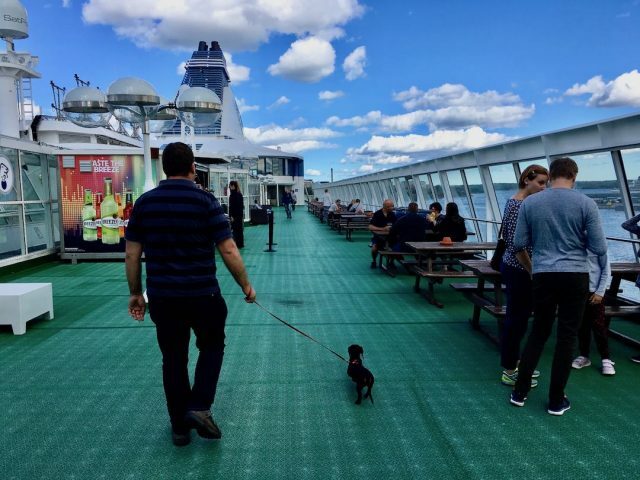 As dogs aren’t allowed in all areas of the ship, you’re probably more likely to spend time in your cabin with your dog, compared to the average cruise passenger. And when you board in bright sunshine, entering a cabin with no window doesn’t make you want to spend time in it, at least in my experience! On a few of the routes, pet kennels are also available. I wouldn’t recommend using this option, as it’s much nicer to have your pet in your cabin, especially as the price is the same. Although we did use the kennels on the short 2-hour crossing between Helsinki and Tallinn, as we didn’t want to book a cabin, and were quite happy with them. 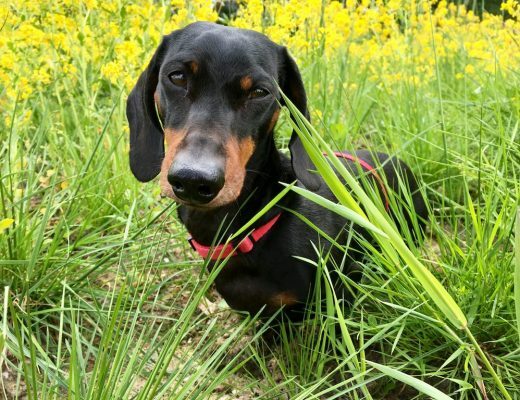 However, if all pet-friendly cabins are booked out on the date you want to travel, they may be an alternative option. What makes the voyages on the Tallink Silja Line a cruise, rather than a mere ferry, are the facilities available on-board. There’s not just a single large restaurant like I’ve encountered on most ferries, but instead multiple dining options, a pub, a wine bar, a casino/nightclub and even a New York-style lounge, complete with late-night karaoke. Be warned that prices are not cheap, although when you’re sailing to or from ports in Scandinavia, the prices aren’t that unusual. Mains are often around €24 each, with the buffet dinner including beverages costing around €42, if you didn’t book in advance. Other facilities include a children’s play area, a spa with private saunas, multiple shops including a large airport-style duty-free shop, and a large sun-deck up on top. While there some rules for dogs, travelling with a dog onboard the Tallink Silja Line was quite laidback. 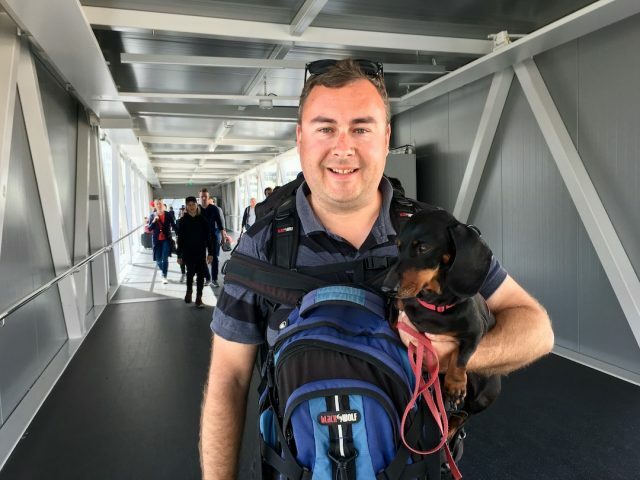 We boarded with no special arrangements, walked through the main promenade to the lift to our cabin, and could take our dog in and out of the cabin as we pleased. 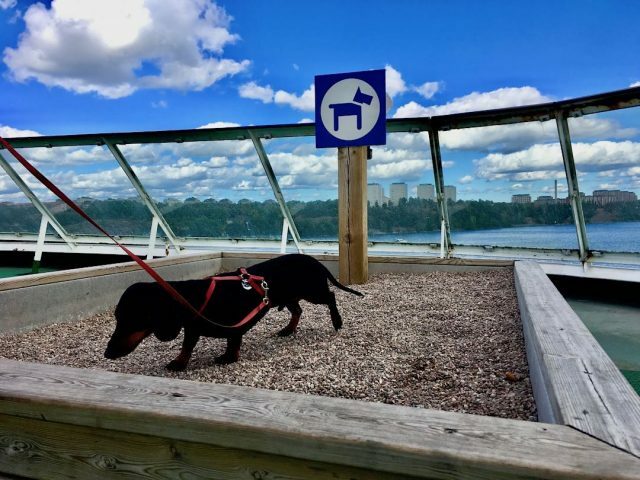 The main place we took our dog to was the upper deck, the designated dog exercise area. At the rear of the deck is a gravel filled sandpit for dogs to do their business, along with plastic bags and a bin. It was great to have a proper dog-relief station, compared to other ships I’ve travelled on where my dog was expected to go on a section of open deck. (Something my dog could never be convinced to do!) However, it can get quite windy up on top, and it wouldn’t be the nicest trek to the end of the deck in inclement weather. 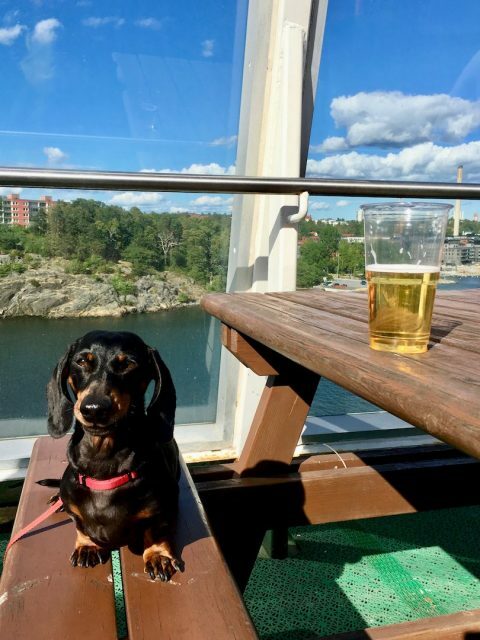 When the sun is shining, the upper deck and its outdoor bar makes for a nice spot to relax with your dog. There’s plenty of large tables and a relaxed vibe. Naturally dogs are not allowed in the other restaurants and bars, indoors on the ship. The rules also state that pets are not allowed in the “ship’s indoor public areas”. 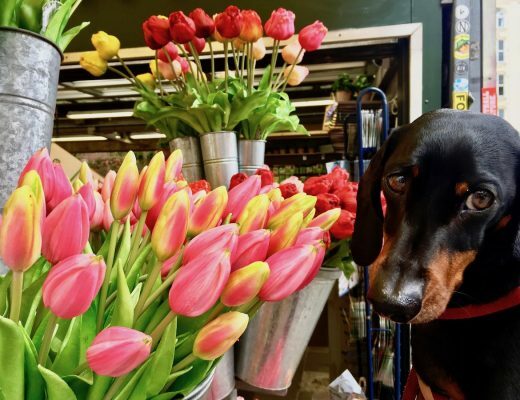 However, as everyone including pets embark through the indoor promenade area, and we experienced no objections when we returned back downstairs shortly after embarking for a wander with our dog, maybe it just refers to inside the shops. The other main rule is that no dogs are allowed in beds. However, there are no rules about not leaving dogs in cabins alone. As you won’t be able to take your dog inside any of the restaurants, for either dinner or breakfast, you’ll likely leave your dog behind for those meals. If you’d prefer not to do this with your dog, the alternative would be to grab some take-away food at the more casual cafes. To travel with your pet aboard the Tallink Silja Line ships it is expected your pet has an EU Pet Passport, including a rabies vaccination done at least 21 days beforehand. However, at no point was our dog’s passport checked. Additionally, some countries have specific requirements. 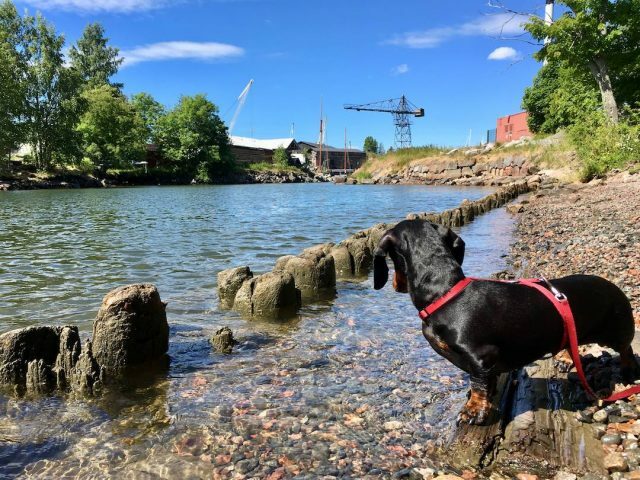 If you are travelling to Helsinki (Finland), your dog is required to be wormed by a vet between 24 hours and 5 days before your arrival in Helsinki. We prepared for this in Stockholm, visiting a vet in the suburbs, which cost about €50. However, this was not checked at any point. If you are travelling to Stockholm (Sweden), you are required to report the arrival of your dog to Swedish Customs. This can be done by passing through the red “something to declare” lane when you arrive in Stockholm. Alternatively, you can fill in a form online. For more information, click here. I actually only found out about this when leaving Stockholm (when I saw the signs at the port), so missed doing this, luckily without any consequences. There are no special requirements for Tallinn (Estonia) or Riga (Latvia). 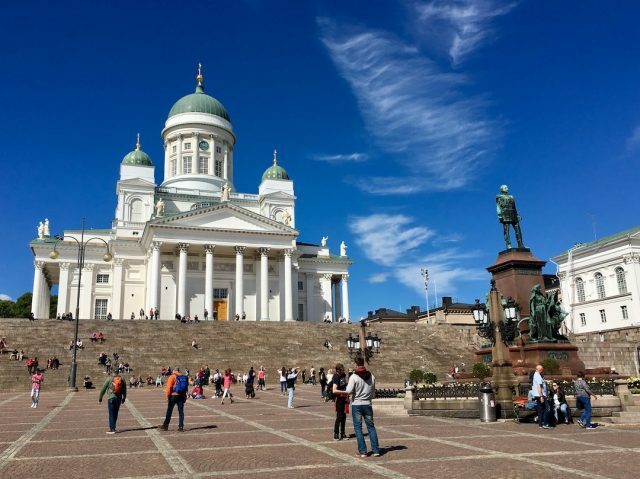 Unlike regular cruises, taking a roundtrip cruise with Tallink Silja Line doesn’t offer up a list of shore excursions. 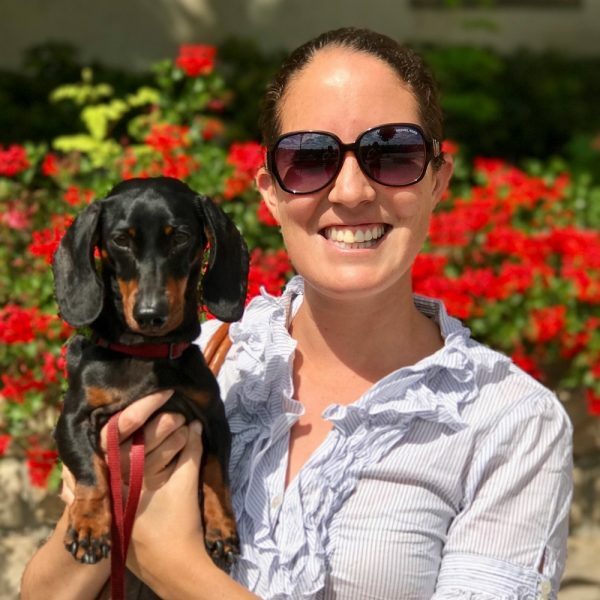 And though there’s plenty of tours you could book in each port with various tour companies, as you’re travelling with a dog, doing a packaged tour is likely not an option. 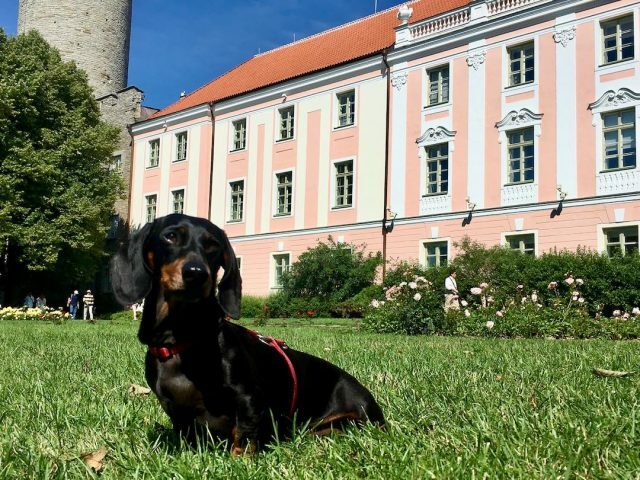 Instead, make use of the local transport options available at each port and consider my top recommendations for dog-friendly sightseeing in each city. 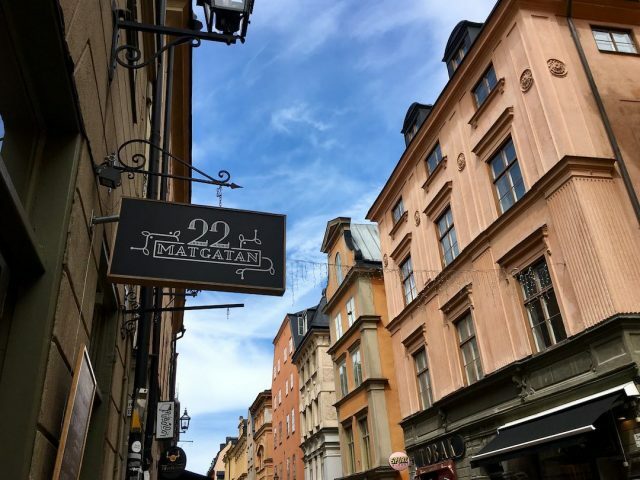 If you’re never been to Stockholm before, one of the top attractions to see is Gamla Stan, the “Old Town”. Located on one of the islands at the centre of Stockholm, the cobblestone streets are lined with historic buildings, restaurants and souvenir shops. Don’t miss visiting Stortorget, the oldest square in Stockholm, or checking out the exterior of the Royal Palace and the Nobel Museum. Alternatively, head out to Drottningholm Palace. The beautiful grounds are free to visit, and dogs are allowed (on a leash). There’s also an off-leash dog island in the grounds! 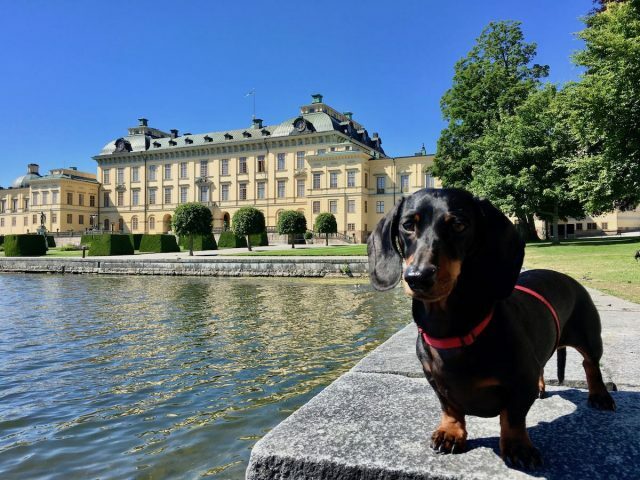 Located on the outskirts of Stockholm, it’s accessible by either the metro and a bus (allow about 30 minutes), or else take a Stromna excursion boat to the palace. The boat trip takes a leisurely hour each way, with regular departures. Dogs are allowed for free, on the outside deck, and it’s possible to book in advance. Just make sure you’re back to the ship in time! 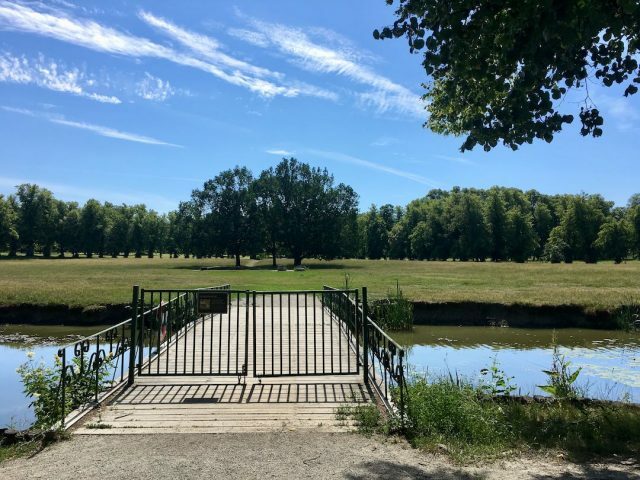 Check out more photos and details from our visit to Drottningholm. Dogs ride for free on all public transport in Stockholm, although must be on a leash or in a carrier. Additionally, on the metro dogs are restricted to every 2nd carriage (check the symbols next to the door), plus only in the rear half of buses. Generally dogs are not allowed inside restaurants in Sweden. 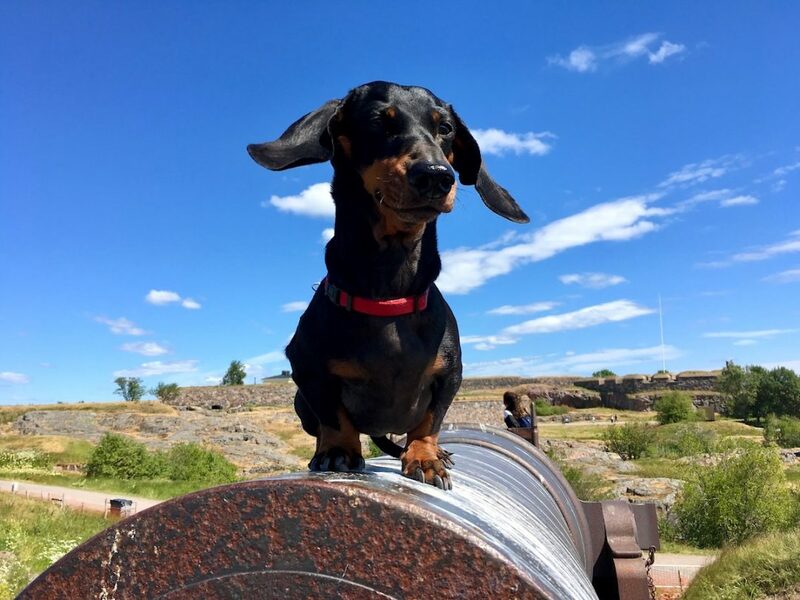 My top dog-friendly sightseeing recommendation for Helsinki is to head out to Suomenlinna Fortress. This group of fortified islands just off Helsinki is a UNESCO World Heritage Site. And ideally for dogs, nearly everywhere is dog-friendly, including most of the cafes and restaurants. The only off-limit area is the small beach, which is clearly signposted, plus of course inside the museums. The main walking loop around the islands is a few kilometres long, plus there’s tunnels and fortifications to explore. To get to Suomenlinna, the cheapest and easiest option is the ferry operated by HSL, the integrated transport authority in Helsinki. Buy a one-day ticket allowing access on trams, buses and the ferry from a ticket machine for just €9.00. The ferry departs from Kauppatori, the Market Square. Pets travel free of charge on public transport in Helsinki. Just note if you are taking the Metro or commuter trains, dogs are only allowed in selected carriages – watch out for carriages with a symbol showing dogs aren’t allowed. If you don’t head to Suomenlinna, I recommend visiting Senate Square. This large square is surrounded by some impressive historical buildings. Tallinn is home to one of the best preserved medieval old towns I’ve come across in Europe. 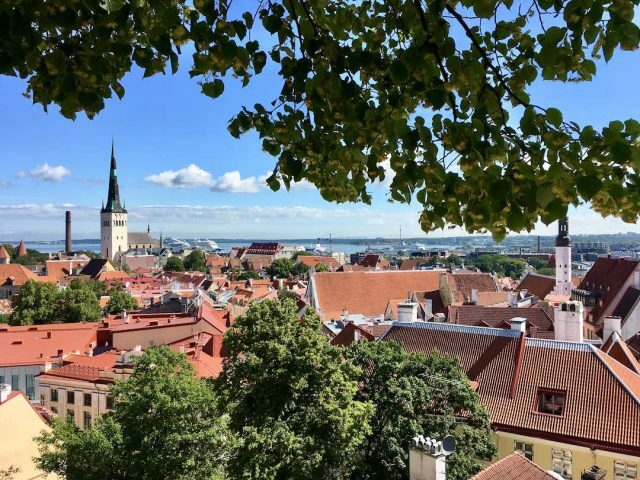 I highly recommend wandering the streets of the old town, including heading up to Toompea Hill and taking in the panorama from some of the viewpoints. Much of the original city walls have also been preserved and one of the best places to view them is at Toom Park, just to the west of the Old Town. This park is a welcome green oasis on hot days, and even better has an off-leash area. 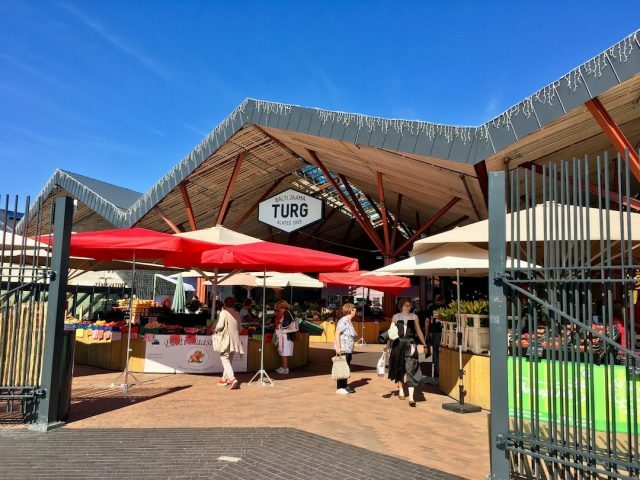 If you want to escape the crowds, especially in the summer cruise season, continue west from Toom park and past the train station. Just after the station is Balti Jaama Turg, an excellent outdoor-indoor market, which allows dogs in most areas. If you continue a little further, many of the former railway buildings have been revitalised and now house a variety of funky cafes, plus lots of street art. 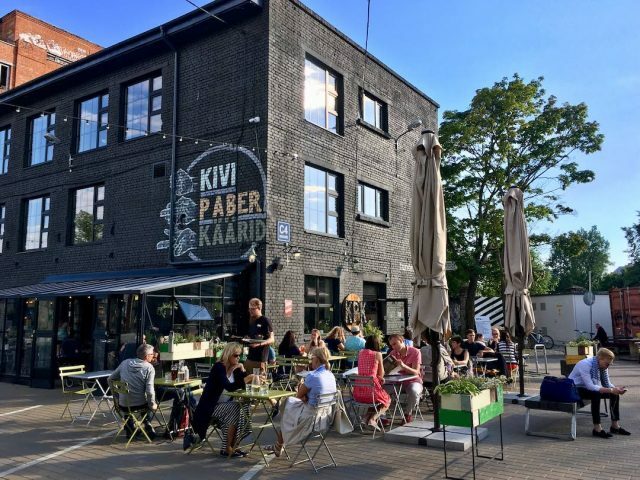 Dining out is already affordable in Tallinn compared to Scandinavia, but your euros will stretch even further here. 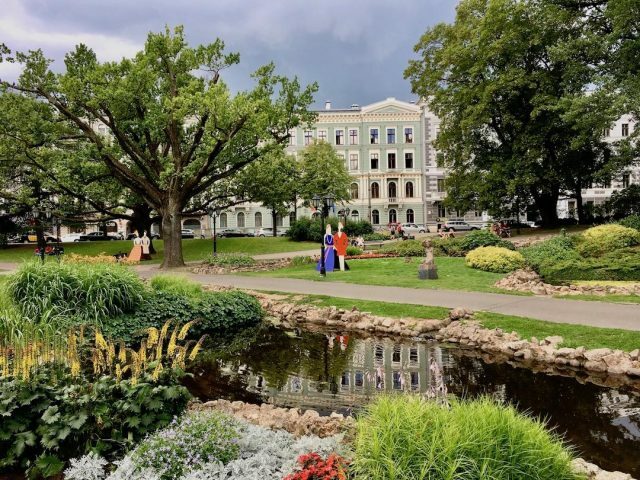 The ferry ports in Tallinn are within a 20 minutes walk of the Old Town, so you probably don’t require public transport. If you do, dogs travel for free. However, make sure you have a muzzle for your dog if it isn’t in a carrier bag. Tallinn is wonderfully pet-friendly and most cafes and restaurants will allow dogs inside, although ask first. For more tips, check out the wonderful guide put together by the local tourism authority. 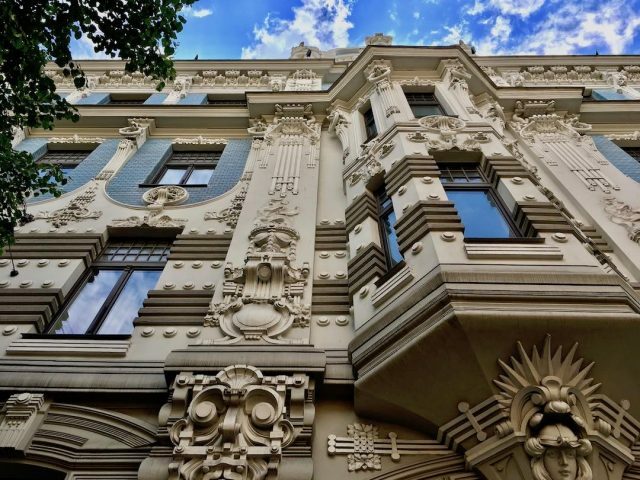 The highlight of my visit to Riga was walking along Alberta iela, Strelnieku iela and Elizabetes iela and admiring the magnificent art nouveau buildings. These streets are outside of the Old Town proper, in the newer area developed in the early 20th century. It’s a great activity to do with your dog, mainly because most buildings are privately owned, so can only be viewed from the outside. While you’ll need to skip the Riga Art Nouveau Museum, it’s worthwhile popping briefly inside to check out the beautiful stairwell just outside its entrance. Alternatively, wander around the Old Town, which contains a wealth of architecture from different eras, including more art nouveau gems. 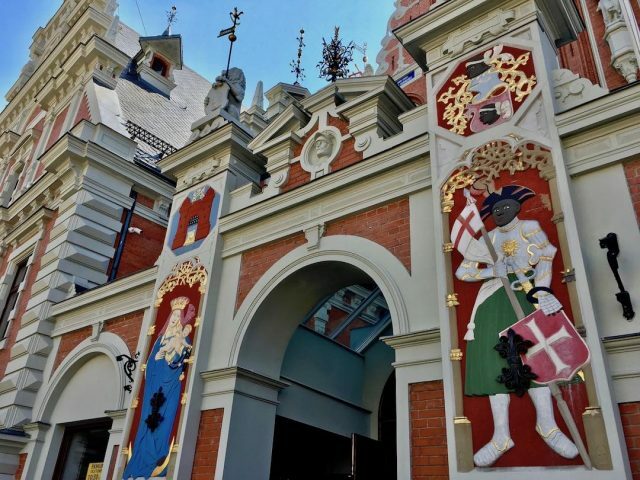 My favourite building was the House of the Blackheads, with its magnificent facade. And no matter what you do, don’t miss strolling through the extensive parks that line the river. When taking public transport, you’ll need to buy a pet ticket (€1.50) for larger dogs, that aren’t being carried in a carrier. No more than two dogs are allowed per person, on a short leash. We found multiple restaurants in Riga that allowed dogs inside, although always ask first. Another dog-friendly overnight sailing option is from France to Corsica. Corsica ferries is very dog-friendly and the cabins are comfortable. Thanks so much for sharing, that sounds like a wonderful trip!